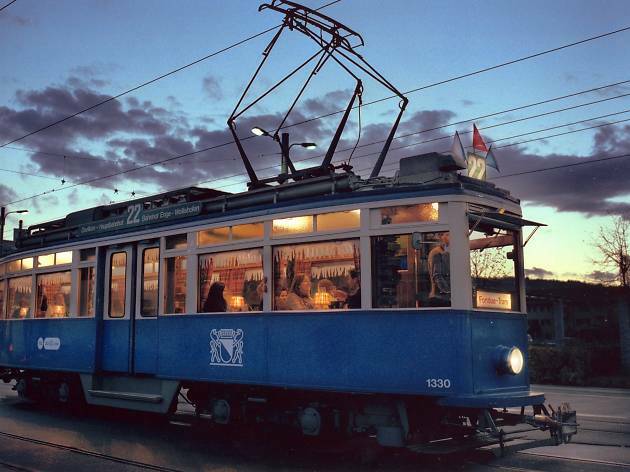 Themed trams run from a special stop at Bellevue, including the fondue tram, the apéro tram or the sushi tram. 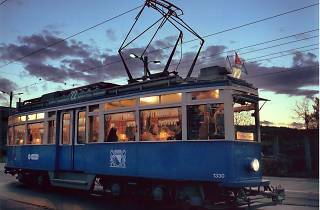 Looking for that special ride on a tram? Seasonally changing themed trams like the fondue tram, the apéro tram or the sushi tram depart from a designated stop at Bellevue. Get some great views of the city while sipping on a glass of wine or stirring in a big pot of tasty cheese.